In the field hockey playoffs, Cherry Hill East was eliminated on Wednesday in a tight game against Washington Township. 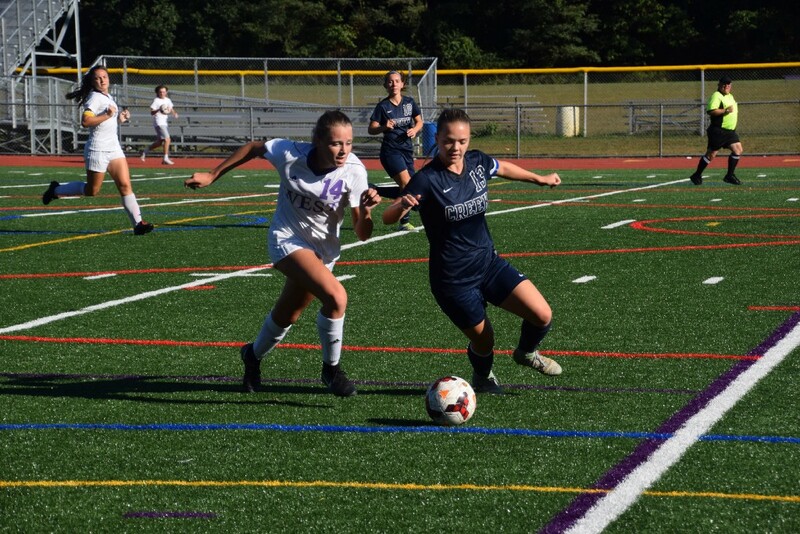 A slew of fall sports teams at Cherry Hill High School East and Cherry Hill High School West found out who they will be playing in the first round of the playoffs beginning next week. Brackets were released on Wednesday for the boys soccer, girls soccer and girls volleyball playoffs. All of the tournaments will kick off next week and run through most of November. Cherry Hill West boys soccer will hit the road in the opening round of the playoffs next week. The №10 seeded Lions will travel to Triton Regional High School to take on the №7 seeded Mustangs on Oct. 31. The game is scheduled to kick off at 2 p.m.
Cherry Hill West girls soccer strangely shares the same seed and opponent in the first round as the boys team. The Lady Lions are also the №10 seed in their postseason bracket and will also travel to Triton Regional High School next week to play the №7 seeded Mustangs. The girls team’s game is scheduled for Oct. 30 at 2 p.m.
Cherry Hill East girls soccer will have a familiar foe in the first round of their South Jersey Group IV tournament. The №14 seeded Cougars will travel to Washington Township High School for their third meeting of the season with the №3 seeded Minutemaids. Cherry Hill East tied Washington Township in their most recent game on Oct. 16. №10 Cherry Hill East field hockey played a tight opening round game on Wednesday against №7 Washington Township. However, the Cougars lost 1–0, on a late second half goal from Washington Township’s Jennie Boyle. Cherry Hill East goalkeeper Gabi Valladares kept the Cougars in the game until the end, making 14 saves.